Hello and welcome to my blog today. You are visiting Kayla MacAulay's blog from Tasmania, Australia. 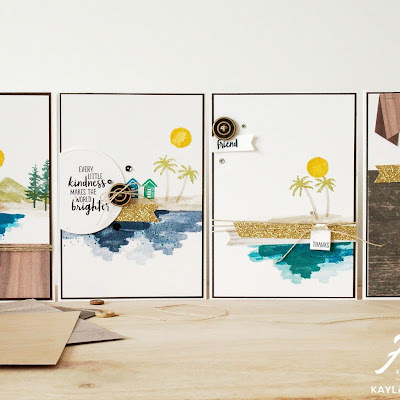 I am delighted to be participating in this blog hop today featuring one of my favourite suites from the new catalogue, Tropical Escape. These beautiful jungle like leaves and stunning (Hibiscus I think?) flowers are just so beautiful and also so on trend right now! I've been seeing lots of clothing and stationary with these gorgeous type designs and so clearly Stampin' Up! are following the trend, or are maybe just the trend setters! Here's a look at my completed projects. I went for quite a bright and fun colour palette and lots of greens because green is my absolute favourite! Something I really love to do with these stamps that you can see here is stamp them two tone. 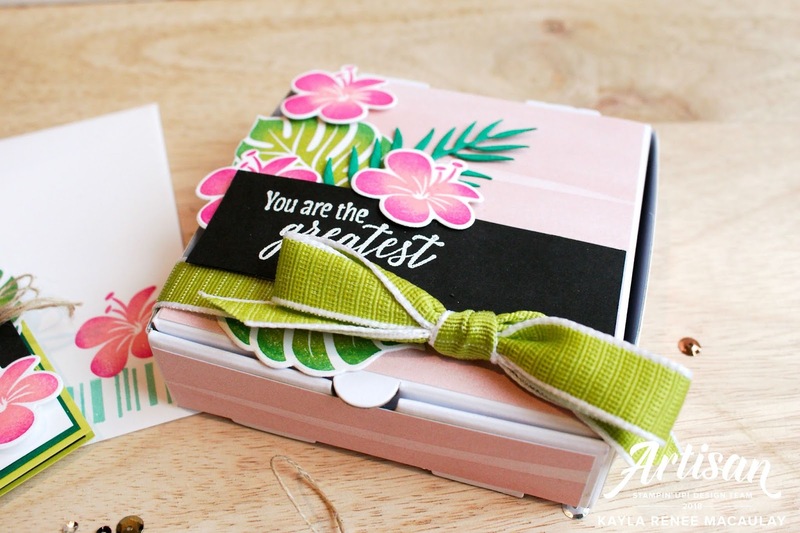 To do this I inked up in my lightest colour (for example...the flower in Flirty Flamingo) and then took a brighter colour (for the flower it was Lovely Lipstick) and used a sponge dauber to ink lightly around the edges of the stamp before stamping on my cardstock. I love the effect that this gives. The pizza boxes are a really fun 3D project to make and could be used to hold many things from mini notecards and envelopes, to cookies and other yummy treats! Here's a close up of the finished card which really shows off the texture of that beautiful Granny Apple Green Ribbon that I just love and adore and can see myself using many rolls off! I have embellished the card with some Linen Thread and Metallic Sequins. 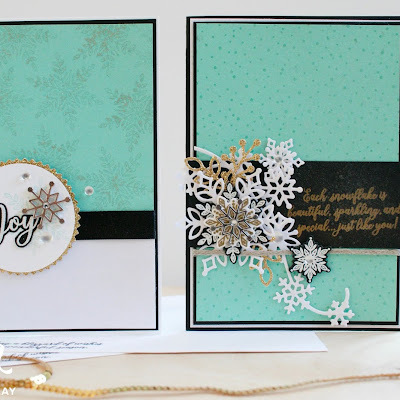 The sentiment is inked in Versamark and then heat embossed in white. I have been a little addicted to heat embossing lately. 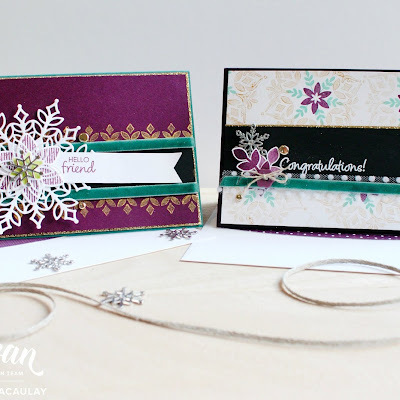 I wouldn't be done without a matching envelope so I hand stamped that with some stamps in coordinating colours. Here's a close up look at the mini pizza box. These boxes come in plain white but can be misted, sponged or add paper like I have. I just used a ruler to measure the rough dimensions so I knew how large/small to cut the Designer Series Paper. I have left a 1/8'' border on all sides. I hope you enjoyed my post today using these gorgeous products and were inspired to give them a try. I have enjoyed hopping with all these talented crafters, be sure to hop along and check out all their amazing blogs.